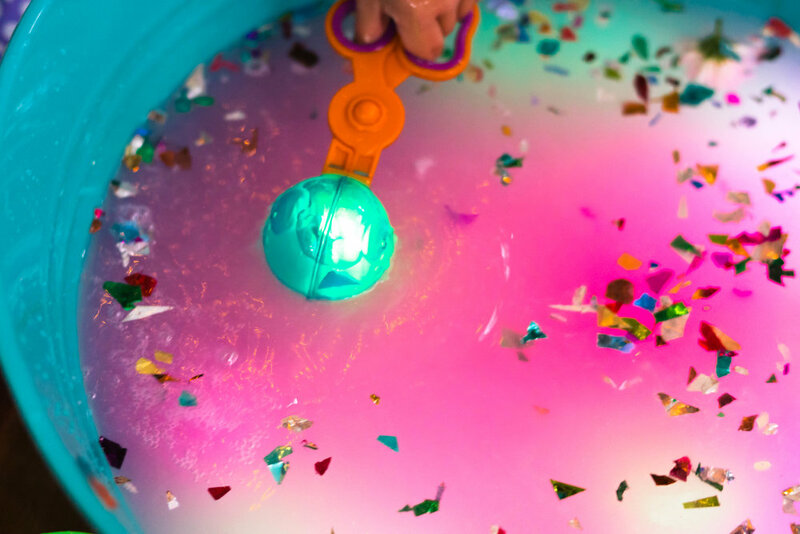 If your child is in a bad mood or your just looking for an activity with happy vibes; you can’t go wrong with a handful of glitter and some Glo Pals to brighten up your day! 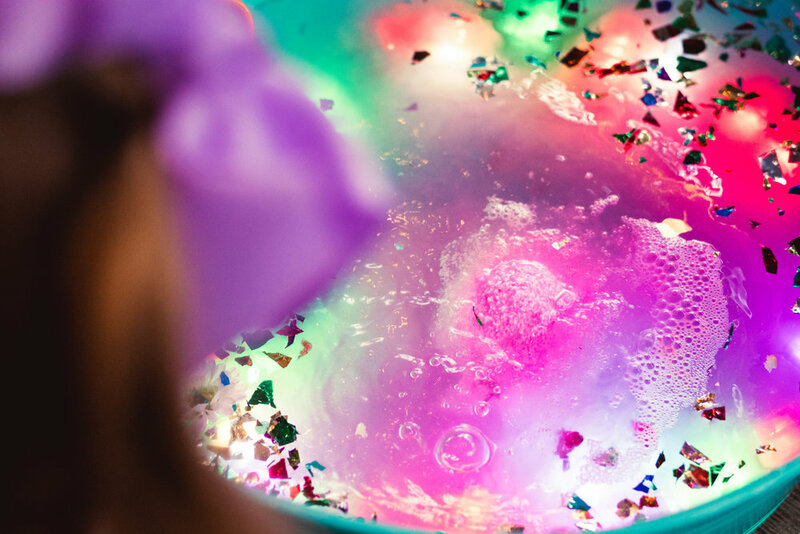 Toss in a Da Bomb Bath Fizzer for an exciting and swirling burst of fragrance. We used these Handy Scoopers by The Learning Resources to scoop up Glo Pals from the magical swirling water.